Provides real-time stack monitoring combined with powerful user interface, visualization, and integration capabilities. Founded in 1999, CafePress calls itself “the world’s best gift shop,” but that label doesn’t begin to describe the breadth or scope of what the e-commerce company actually does. Offering on-demand printing from its Louisville, Kentucky, manufacturing facility, CafePress is a pioneer in customization, its website serving as a hub for designers and consumers alike. Indeed, with artists and writers making their designs and slogans available to be printed on any of the site’s vast array of merchandise, consumers coming to the site to create individualized wares, and major entertainment companies offering up their own products for personalization, CafePress.com has become the go-to place for customized products. Today that means offering more than one billion items from a global community of more than two million designers through the CafePress.com e-commerce website. To power it all, CafePress now relies on a hybrid cloud infrastructure, primarily employing Amazon Web Services (AWS) to help deliver its IT infrastructure and New Relic to support scalable, reliable application delivery on top of that infrastructure. Like many businesses today, CafePress is a technology company at heart, depending on a host of home-grown and third-party applications to keep its website, manufacturing and fulfillment facilities, and back office humming. What Downs and team needed were the metrics that would prove their theories correct—or incorrect—and the visibility to spot trouble before real issues arose. That’s why CafePress became one of New Relic’s earliest customers, deploying its SaaS-based application performance monitoring solution, New Relic APM. Nearly a decade later, much has changed within CafePress’ IT environment—which is now largely cloud-based through AWS—but one thing that’s remained constant has been the use of New Relic monitoring. CafePress Manager of Business Technology Cody Martinho, whose team manages the network operation center (including site scope and site availability), can’t imagine a time when this wasn’t the case. "We have a lot of services talking to one another. With New Relic we’re able to see the dependencies, both internal and external. So, for instance, if website performance is suffering because our external search service has slowed, we’re able to jump into New Relic and see the reason for this." What’s more, by taking advantage of custom dashboards created using New Relic Insights, the CafePress IT team has been able to move from reactive to proactive mode; for example, unearthing data that enables them to predict how a release will impact website performance, and then get feedback on the true impact once the release is in production. This capability has been key in ensuring the company’s smooth migration to the cloud. With just one remaining datacenter (in Las Vegas), CafePress is nearing completion of a transition from an on-premise environment to one that resides exclusively in the cloud. For a retailer like CafePress, which experiences an enormous spike in business during the months of November and December, taking the data center to the cloud is pretty much a no-brainer from a financial perspective. According to Downs, in closing its datacenter and “going 100% cloud,” CafePress expects to reduce its infrastructure costs by 50% annually in hardware and maintenance with the completion of the migration. What’s not as easy is re-architecting applications that have been optimized to run on highly dedicated hardware on a hyper-fast network—or, as Downs says, “rebuilding our applications so that they don’t have to sit on an eight-core big machine with lots and lots of RAM.” New Relic has been instrumental in that process. Another big plus of New Relic monitoring is that when an issue does arise—as happened recently with its imaging system— CafePress can determine whether the problem is originating in its own code or within AWS. If the latter is the case (as was true with the imaging system issue), the team simply opens a support ticket with AWS and waits for that team’s input to proceed with diagnostics and repair. "The New Relic platform has been of great use to us as we migrate applications from an on-premise environment into the cloud because it allows us to see exactly what’s going on and where errors might occur." 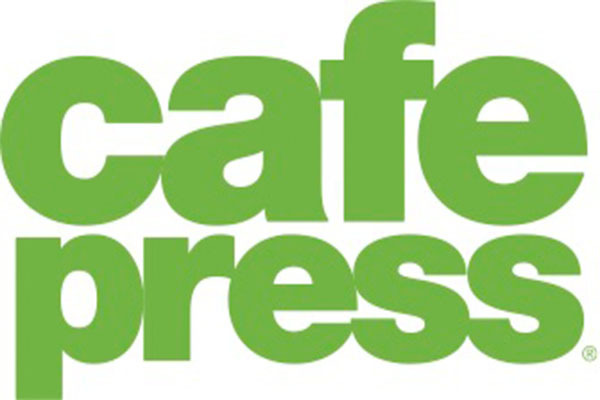 Almost a decade into its use of New Relic, CafePress continues to reap the benefits of the solution, chief among them being the cost savings conferred from the outages the company has been able to avoid by detecting and correcting problems early.